They're hilarious, entertaining and sometimes downright beautiful. And yet, for whatever reason, these "sleeper" shows remain Columbus comedy's best kept secrets. Read about these shows and then be sure to catch the next one! This show also made our "best of" list, and for good reason. Featuring a pop culture theme and a diverse lineup of comedians, there's just one rule: no standup. What results is a creative journey (think Power Point presentations, commercials, music and more) through some of the best comics, TV shows, movies and other pop culture phenomenons. Plus, at just $5,, it's an easy sell. Check out Whiskey Bear Comedy for more information. Another "best of" crossover, Deuces Wild is the improv show that delivers as many touching moments as it does laughs. Five teams of two improvisers have ten minutes each to produce scenes based on a suggestion from the audience. The result is often beautiful, and at a tight 70 minutes, it's the perfect way to get a taste of some of the best improv in the city and still have time to catch a drink or two after. This show is already a favorite with local comedians, who enjoy the hosts (established comedians in their own right), the tiny stage and campus vibe of Kafe Kerouac. Funny couple Dave and Natalie Burkey bring together a variety of standups in a Friday night showcase where whomever can squeeze into the space gets to see some of the best and most diverse comedy in the city. The lineups are always unexpected, but you're sure to see a veteran or two, a new up-and-comer and a special guest. It's trivia meets Mystery Science Theater meets Steve Harvey (sort of). 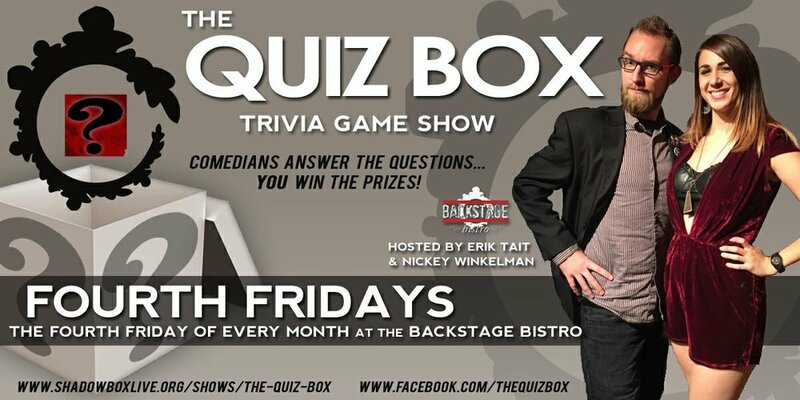 The Quiz Box is the brain child of standups Nickey Winkelman and Erik Tait, and it's the game show where the winner can take home the glory without any correct answers. A panel of comedians and the occasional local celebrity battle it out to answer trivia questions, but can earn points for particularly clever banter or jokes. Audience members can earn prizes (or apologies) based on comedian performance, and maybe learn an obscure fact or two in the process. Don't let the fact that it's an active student organization or in a pizza basement deter you from catching some of the best comedy in the city. Run by students at the Ohio State University, the Buckeye Standup Comedy Club showcases some of the best up and coming talent anywhere, plus notable vets. This show also made our "best of" list (notice a theme here? ), but we want you to be among the exclusive list of people who get to take in this show in a tiny craft shop in Clintonville. Please Clap is an all-female lineup of comedy, nestled among crafts and craft supplies. The owner is often on hand to distribute prizes and the night focuses on funny women throughout history as well as the women on stage. It's weird, quirky, funny and everything in between, Plus, as one of the city's only regular late night comedy shows (yeah, we're working on it), this variety show/camp/multi-media extravaganza offers an alternative to your usual Saturday night fare (but don't worry, there's still booze). Produced by the ever-creative Savage Tech, Late Nights bring standup-with-a-twist, professionally produced digital shorts, characters, elaborate costumes and sets, dancing and music. There's really nothing else like it in Columbus and the hard work and passion of the show producers and guests shines through every performance. What are your favorite "sleeper" shows? Tell us about it on Facebook. Hashtag Comedy in Columbus Alive! 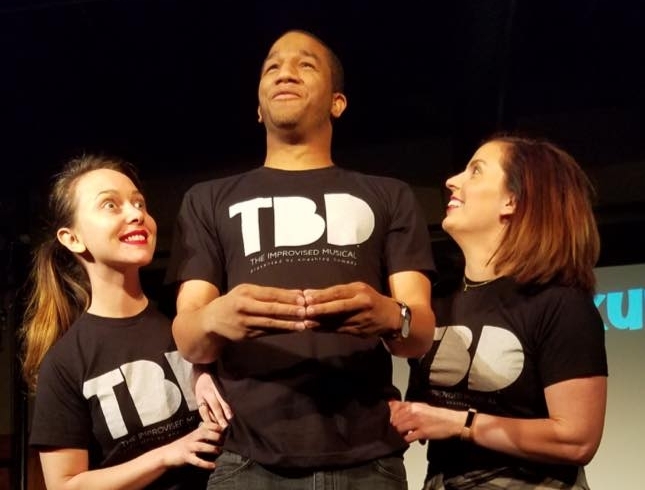 A big thanks to Columbus Alive for featuring our own Sarah J. Storer as she talks improv, comedy and what it means to change and elevate a community through laughter and improv. Image by Megan Ralston at Columbus Alive.